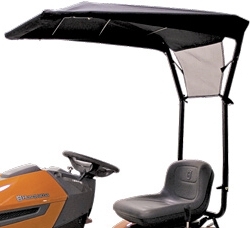 Deluxe sun shade canopy for your riding lawn mowers. • Lightweight, attractive sun shade provides protection from sun & heat. • Easy to assemble (less than 30 min). • Tarp: durable UV-resistant black nylon material 34” wide x 43” long, mesh rear flap to help protect the back of the operator's head & neck. Fabric cleans easily with soap & water. • 38” high from the tractor seat giving ample head room. • Durable 1” dia. tubing with powder coat paint finish to resist rust and chips. • Can be used with a bagger. 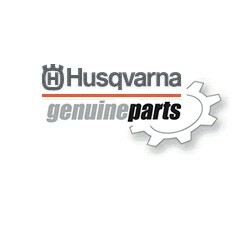 • Fits all Husqvarna riding lawn mowers and lawn tractors model year 2007 and after, except SRD17530.